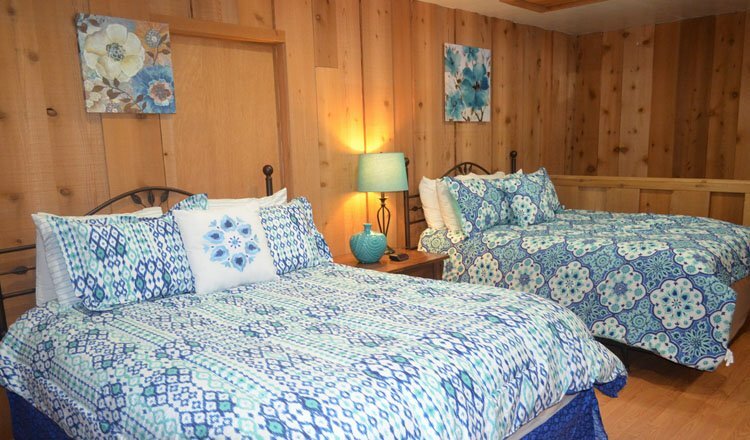 Cabin 82 is one of four cabins that are connected into a four-plex building. 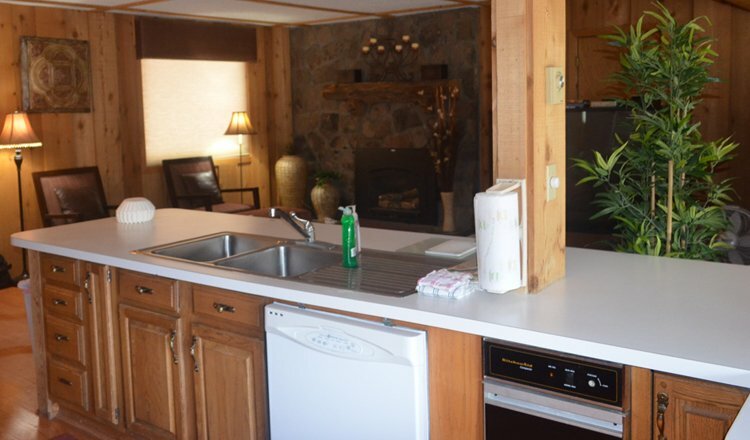 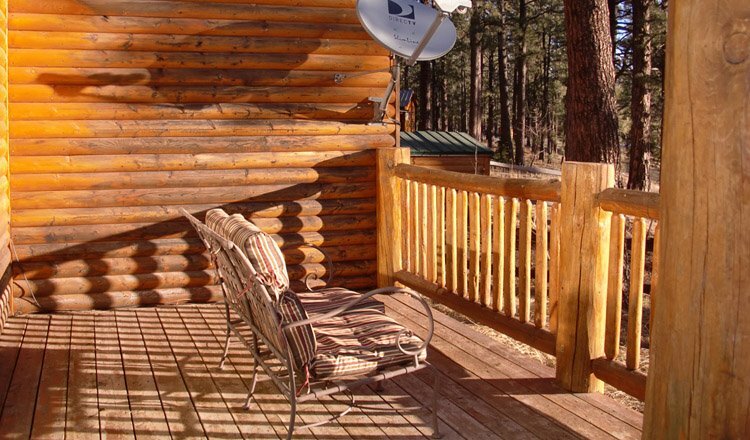 It is a large cabin, with a huge covered deck, spectacular views, and very private! 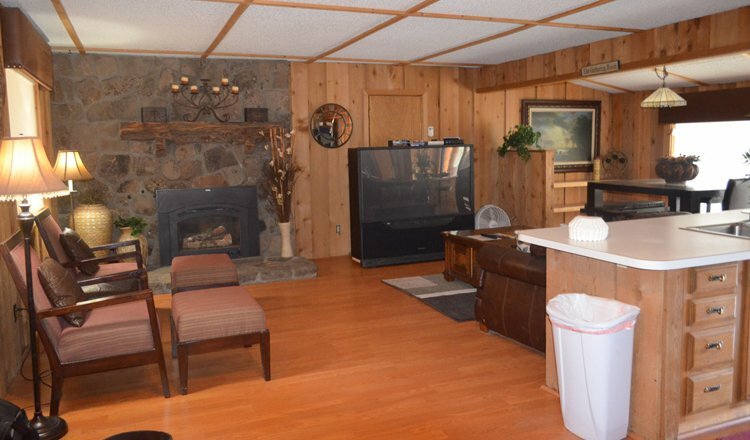 2000 sq ft, Single Story; 2 Bedroom, 1 Bath. 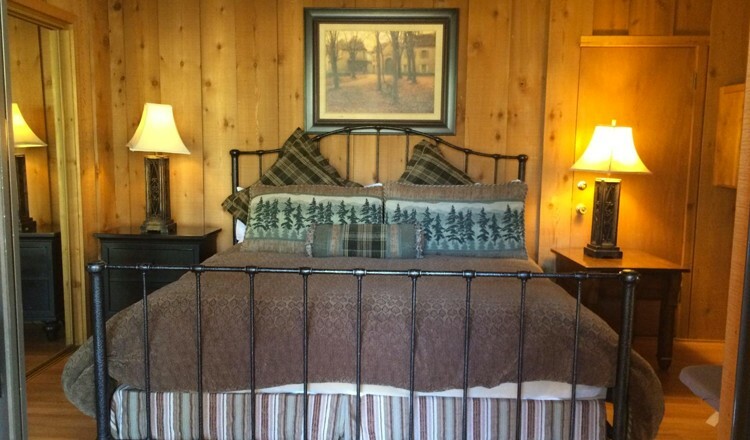 Bedroom 2 has 2 each Queen beds. 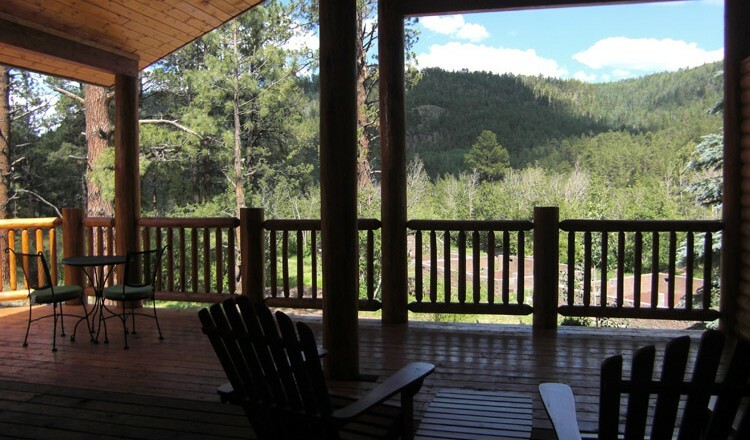 Huge covered deck with Panoramic Views Overlooking the River & privacy walls. 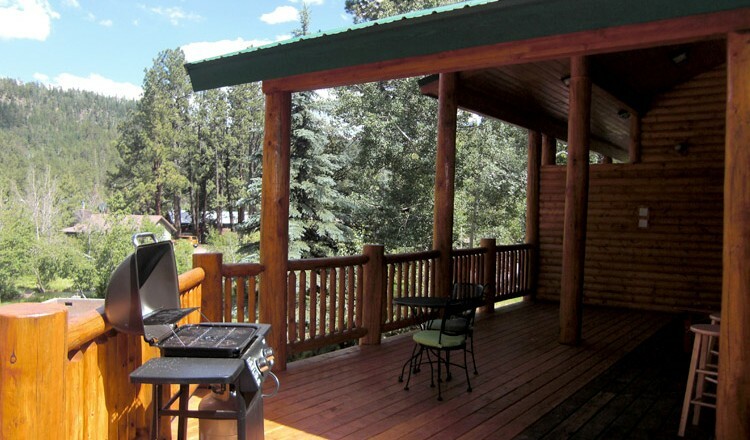 You will love this Covered Deck! 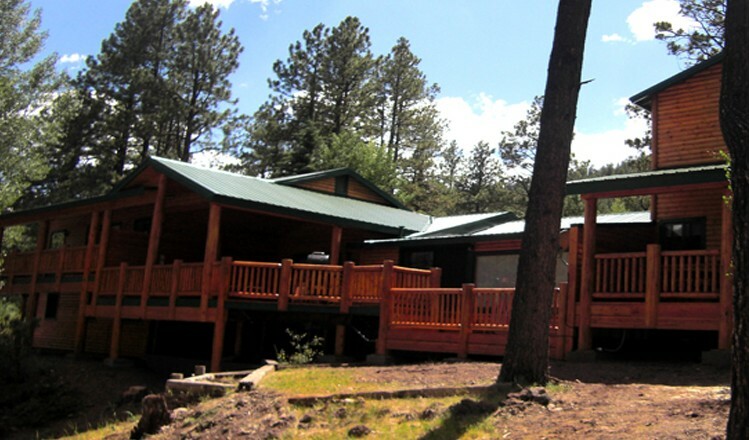 It’s huge & the views are Great. 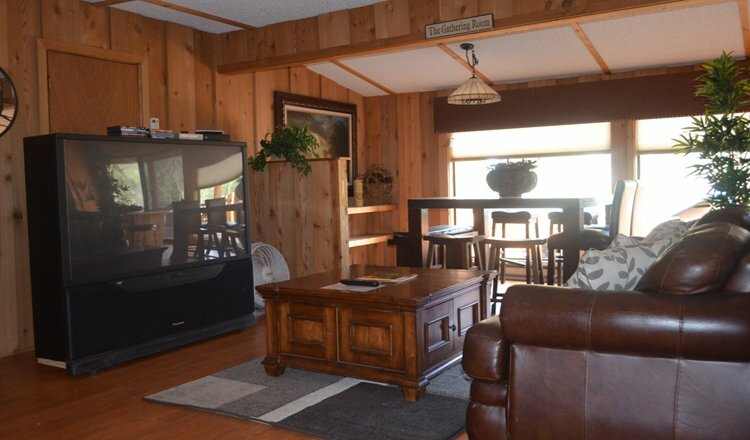 Very Private! 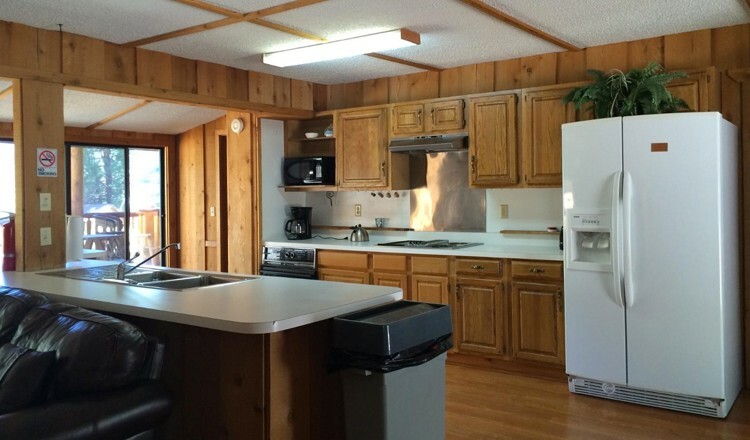 Single Story cabin with Great Views! 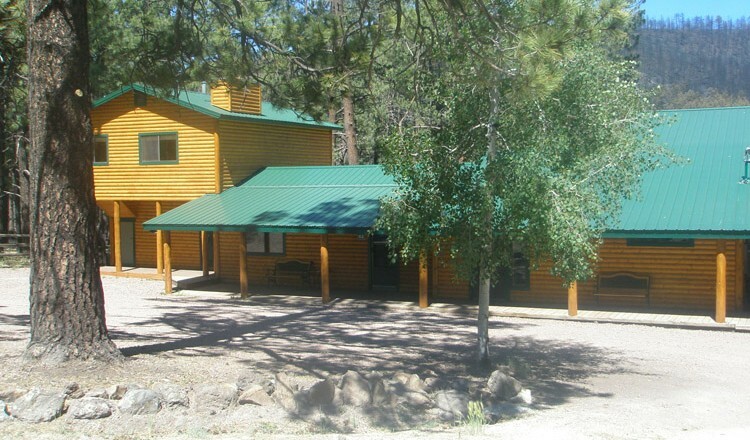 Cabin 82 is one of four cabins that are connected into a four-plex building. 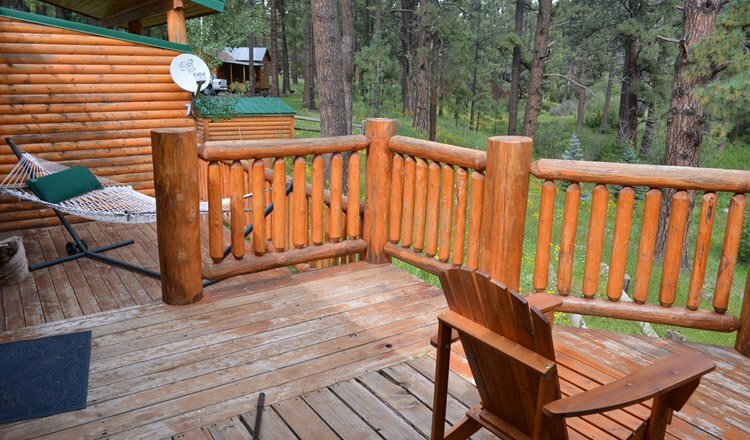 It is a large cabin, with a huge covered deck, spectacular views, and very private! 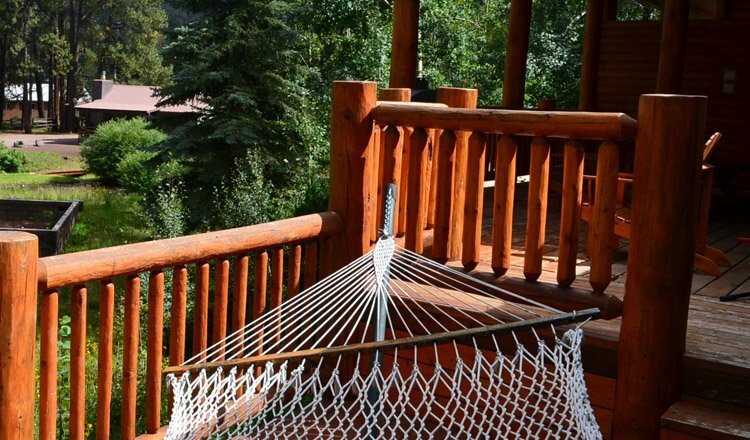 Huge Covered Deck overlooking the River, with Great Views! 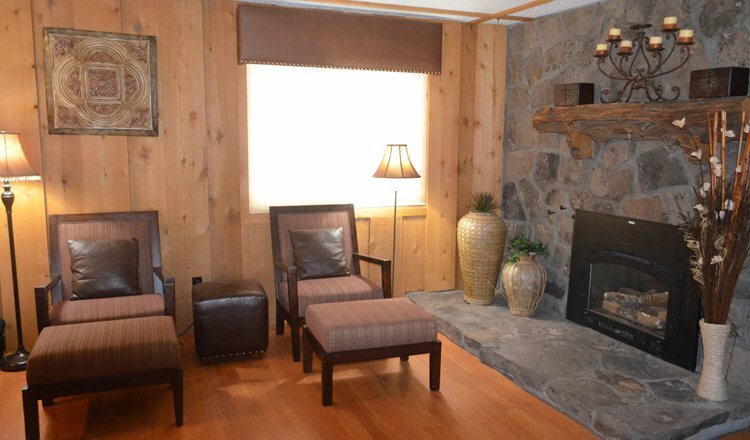 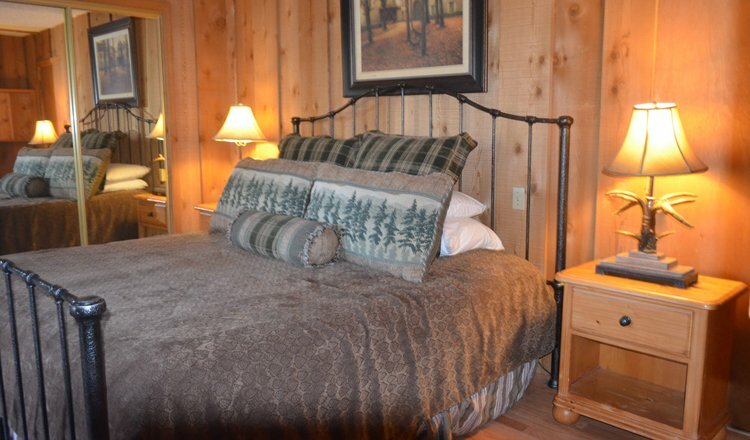 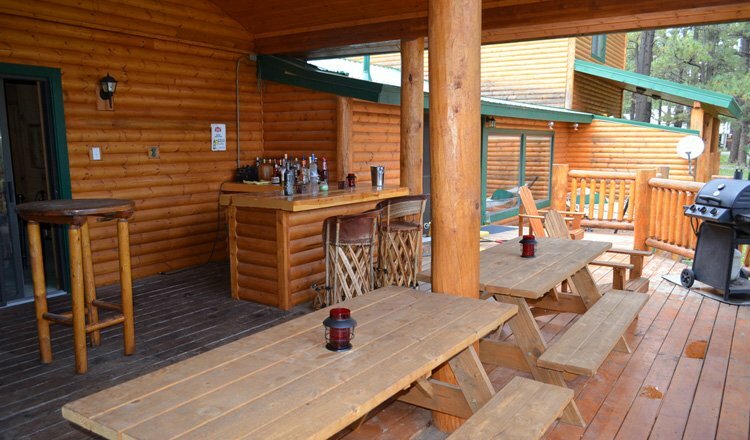 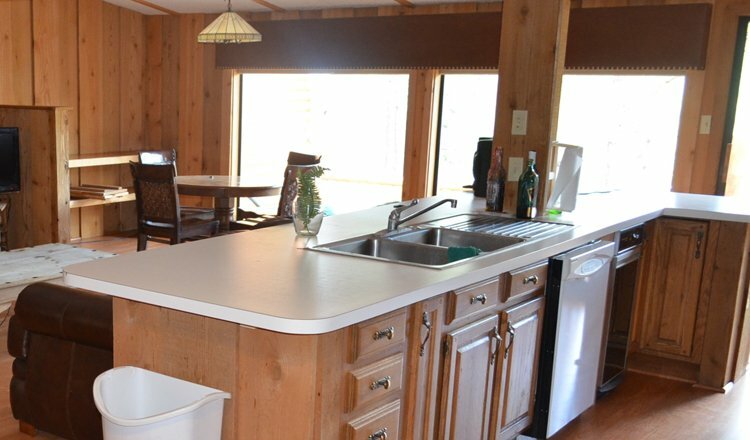 Our guests LOVE this cabin and its Huge Private Deck! 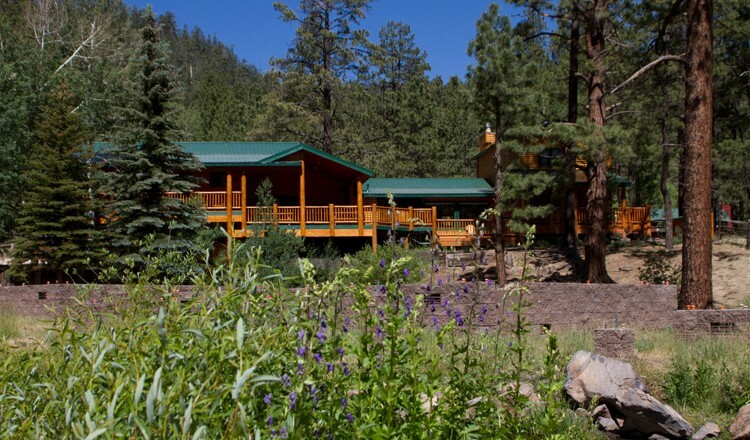 Cabin 82 is “Dog Friendly” (additional fee of $20 applies per dog per night; maximum of 2 weel behaved dogs nte 50 lbs allowed).